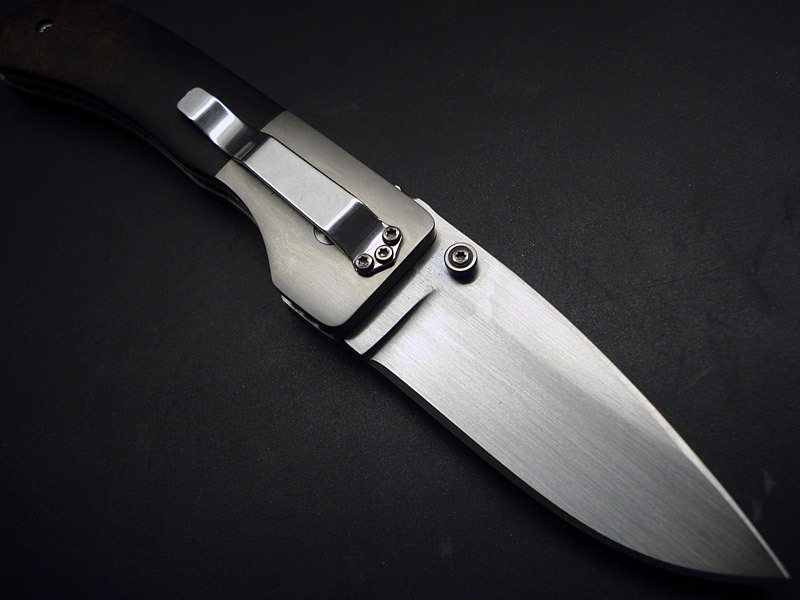 The Model 1 is the first knife that Mike Obenauf started making and selling, before the Model 2 came around and really launched him into the spotlight. While the Model 1 lacks the Model 2’s sleek lines, it makes up for it in utility. The Model one has a handle with slightly more purchase, and a drop point blade with a little bit less belly than the Model 2, giving it an overall better utility use. 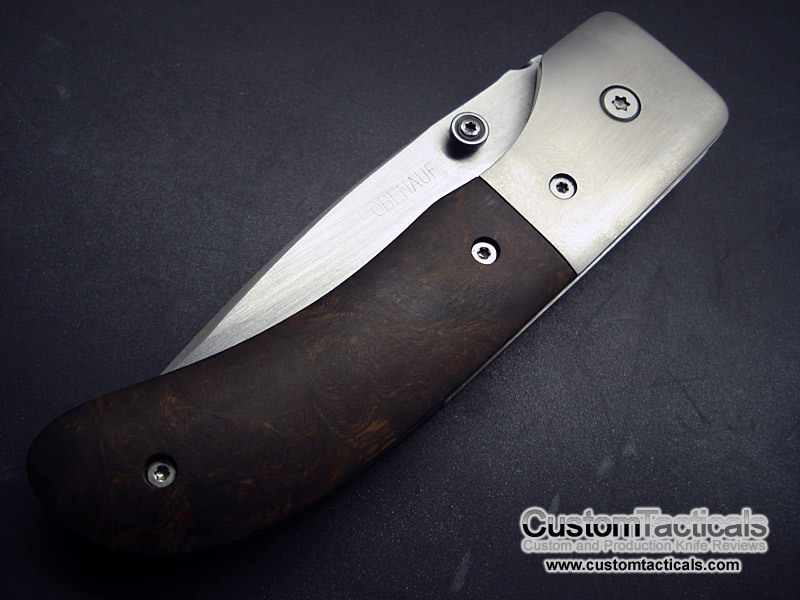 This Obenauf Model 1 has Ironwood scales and hand-rubbed titanium bolsters as well as the hand rubbed blade finish. Very few Obenaufs were made with hand-rubbed finishes towards the end as it seems he had a preference to bead blasting the majority of his more entry level knives. Blade steel is S30V, and the liners and bolsters are all titanium. Fit and finish are immaculate, like most if not all Obenaufs I’ve owned. This model 1 also has jewelled circular graining on the inside of the titanium liners. There was a small amount of shrinking on the wood that caused it to recess slightly from the bolster on one side, but the amount if minimal and would not be noticed by many. The action and lock up and perfect, and met all my expectations. On this particular example, the lockbar moved slightly past middle on the tang, which is something that bothers some collectors I know, but was not an issue for me. Overall and outstanding knife, with great finish and fit. 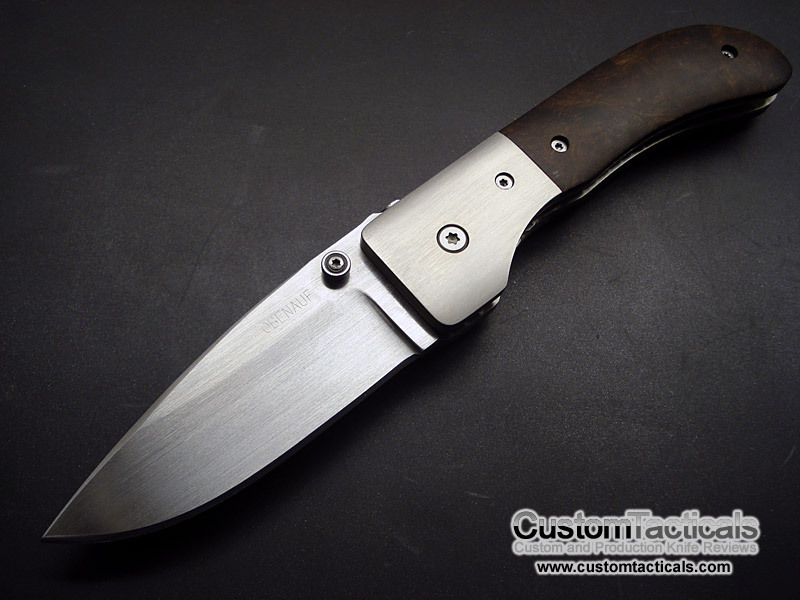 Its a shame that Obenauf has left knifemaking with all his responsibilities in disarray, screwing many people out of a lot of money, including a friend of mine who owned several of his knives. You’ll only be buying his knives on the secondary market now, so its not really supporting him if you buy one since he is gone. If you like his knives, they are worth the money but remember that he is not around to repair any damage or resharpening them.